It’s one of my favorite parts of the whole recording process. There’s nothing quite like sitting down at your desk with a fresh cup of coffee and a blank session in front of you. You hit that magic triangle (Play button) and listen to the raw tracks. Then you begin sculpting the sound. Setting levels. EQ. Compression. Reverb. Delay. Mixing one track is fun. What if you doubled it? Would it be twice as fun? I’m talking about parallel processing. There was an article about processing a lead vocal, and the author talked about duplicating the vocal track and processing the second track differently from the first, then blending the two together. We call that parallel processing. If you’re like me, just the idea of parallel processing makes your brain go crazy with ideas. You could heavily compress the second track, or EQ it differently, or add distortion…the list goes on and on. The takeaway point for you? If you’re having trouble getting a track to work in the mix, try duplicating it. 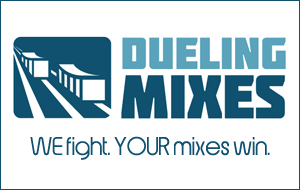 This is a bit more advanced, but it can be a fantastic tool for your mixes. For some advanced training on parallel processing, check out the latest hour-long video I posted for VIP members.